Poor performance and poor attitude comes at a cost to managers and organizations– they cost money, time, turnover, morale and energy. 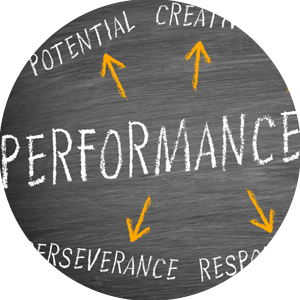 Underperformance may be intentional; for example, a disengaged, disgruntled employee may engage in unproductive or disruptive behaviour, or may be unwilling to upgrade skills or education when required for their work. Underlying factors influencing this could be lack of alignment with culture or values of organization, fear of failure, not feeling heard or included or resentment for a situation that did not unfold as they wanted. Underperformance can also be unintentional. An employee might be working very hard but not on the right things; they might not be aware of their behaviour or understand its impact in the workplace. So, as a people manager, what can you do? A Performance Improvement Plan (or PIP) can be a great place to start solving the problem. The purpose of the PIP is to identify an issue that is negatively impacting an employee’s performance, and to create a plan to address that issue. The PIP has the goal of assisting the employee to address the performance issues and work towards a positive solution. The manager gains better understanding of an employee’s capabilities, motivation and willingness to change. The employee gains better understanding of what is required of them and how it will be measured. The employee receives frequent feedback, reinforcing positive changes quickly as they occur and keeping a focus on things that still need to change. Both parties have a chance to explore factors that might be affecting the employee’s ability or motivation to do their job effectively and determine what supports might help. Sometimes, just the additional attention, focus and support can be enough to help an employee improve their performance. People generally respond well when someone notices and cares enough to talk to them with a focus on solutions and support. This does not mean that every employee will want to or be able to adequately improve their performance, but the PIP creates the best possible chance for a positive result. A re-energized, engaged and productive employee! Progressive discipline and a resignation or dismissal. If change does not occur and the problem/performance gap continues, and you need to part ways with the employee, you can do so knowing that you have communicated effectively, provided appropriate support, and informed the employee of the consequences of not improving. You will also have the documentation you need to support a dismissal. If the first occurs, you have brought great value to the employee and to the organization! We all face challenges in our work and home lives. From time to time our performance may vary but sometimes it becomes entrenched if not addressed quickly. Use the tips above to develop a written process and template so you are well prepared to constructively address persistent performance issues with employees when they arise. As always, if you need assistance, we are happy to help! next post: Help! My new employees burn out!